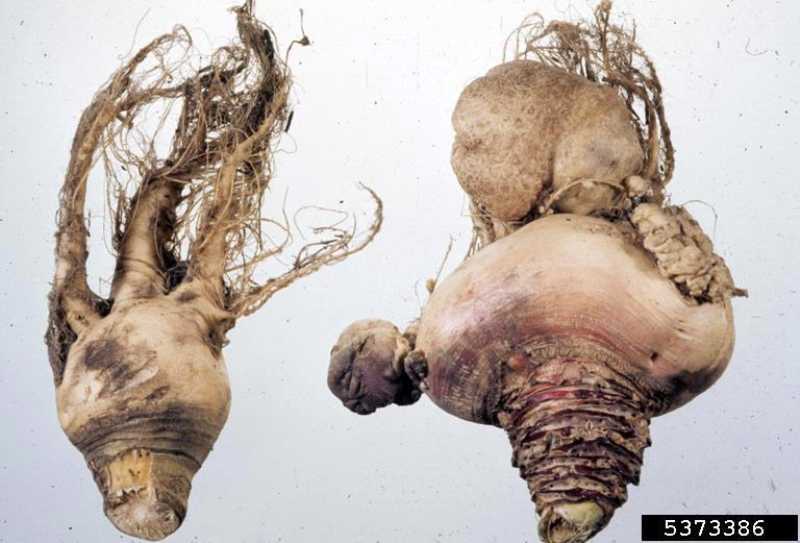 Clubroot is a fungal disease that affects a number of plants in the cabbage family including cabbages, radish, mustard and ornamentals such as candytuft. It is caused by the fungus Plasmodiophora brassicae and gets its name from the club-like roots it induces in infected plants. Its diagnosis is often missed as the infected plant part, the roots, are underground and out of sight. The first symptom is usually wilting during average daily conditions but recovery at night. The older leaves may yellow and die and the plants look stunted. Examination of the root system reveals enlarged roots that make them look club-like and reduced feeder roots. The reduction in feeder roots as well as disruption of the water conducting tissue in the roots causes the drought-like symptoms. 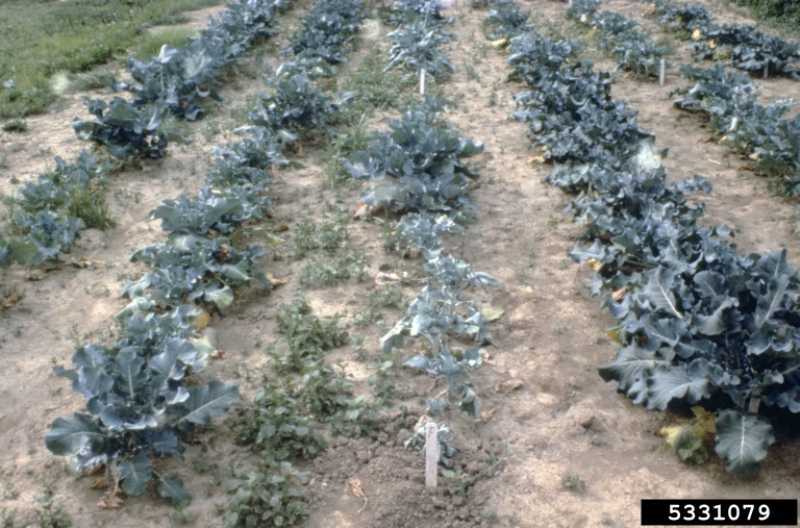 Development of the disease if favored by a low soil pH (below 7.0), cool soil, and excess soil moisture. The organism can survive in the soil for over 10 years. Since most soils in the St. Louis area are above a pH of 7 the disease is rare in our area. Clubroot is a soil-borne fungus that infects plants through root hairs by zoospores. After infection the roots enlarge and many spores are produced in the swollen roots. The mobile zoospores can re-infect other roots on the plant or nearby plants. Late in the season resting spores are produced. When roots die and decay the resting spores are released into the soil where they can survive for many years and be transported through the soil by water movement and garden equipment. 1. Remove diseased plants. 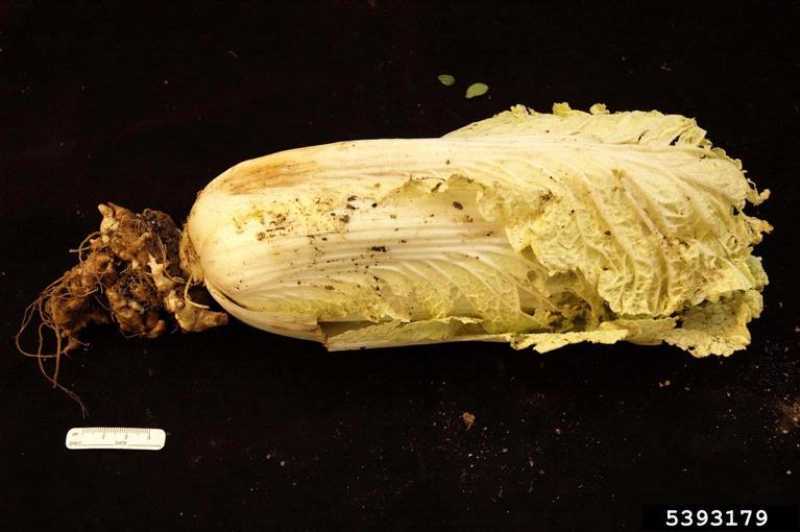 The disease organism can reside in the soil for many years so although quick removal of diseased plants is recommended the disease may return if plants in the cabbage family are planted in the infested soil the following year. Also remove any cabbage family weeds such as wild mustard, which can harbor the disease. 2. Add lime. Since problems are more severe in acid soils (pH 5.0-7.0) adding lime to acid soils can help control the disease. 3. Rotate crops Rotate where you grow cabbage, radishes, mustards, etc in your garden. Wait 5-6 years before replanting in an area.